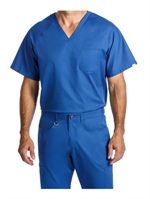 There is truly a difference in the way our scrubs form to your body. 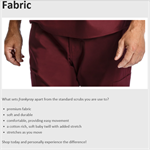 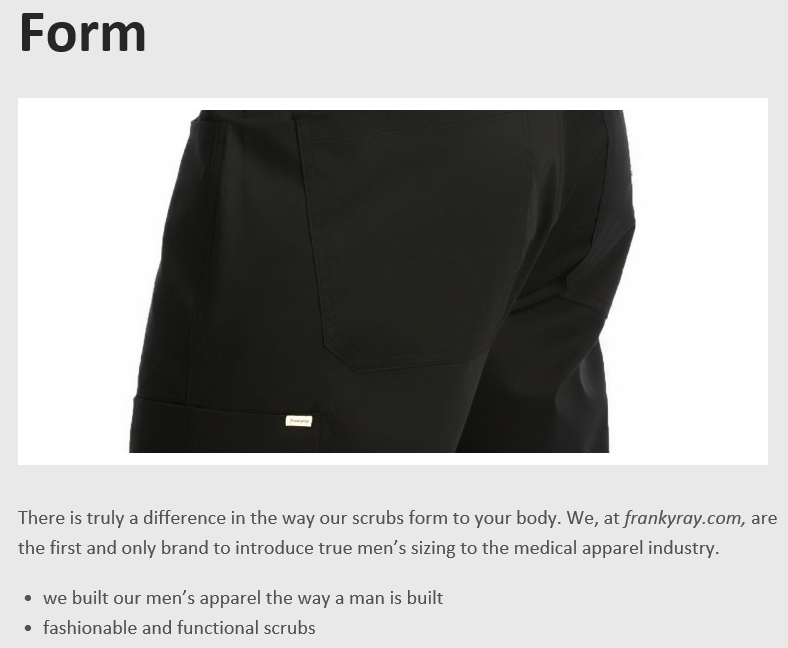 We, at frankyray.com, are the first and only brand to introduce true men’s sizing to the medical apparel industry. 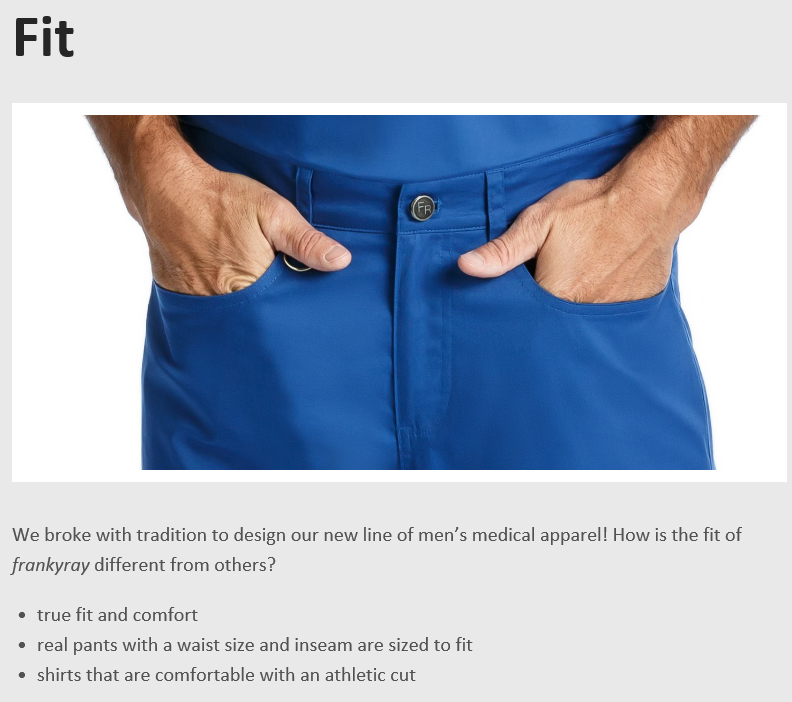 We broke with tradition to design our new line of men’s medical apparel! How is the fit of frankyray different from others? FrankyRay has the most customizable men’s scrubs in the Industry. 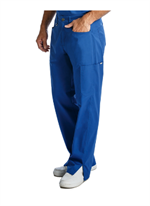 If you have a waist in an odd number then order next lowest even size number Example a size 33 waist would order a 32 waist.